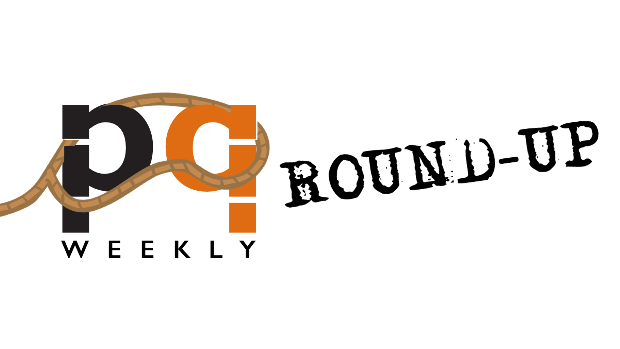 PQ Weekly is a round-up of the most shared links in our social media network—bookish articles, reviews, quizzes, recommendations and more—in convenient digest form. Buzzfeed drew attention to some significant gaps in our language when it comes to describing our love of books. The Guardian gave us muggles something to drool over with a sneak preview of the illustrated edition of Harry Potter coming out in the fall. We pretty much drooled over this illustrated list of swoon-worthy libraries that every book lover wants to visit. Seriously. Gorgeous. The Globe and Mail delivered a great review of Jeet Heer’s Sweet Lechery—and also showed us how he became one of Canada’s leading public intellectuals. Scott Ponemone interviewed George A. Walker (and a few other familiar PQL names) to talk about the craft of wood engraving and the medium of the wordless novel. Hope you enjoyed this week’s link round-up. Check back next Friday for the next edition of PQ Weekly! This entry was posted in Letters from the Porcupette (the Intern's Blog) and tagged George A Walker, Harry Potter, Jeet Heer, libraries, Sweet Leckery. Bookmark the permalink.